We’ve created a cost calculator to help simplify budgeting for the cost of independent living. To view your current cost of living, simply fill in your current monthly expenses for each field. Clicking ‘Average’ will pull in data based on 2015 local area Metro Phoenix averages. 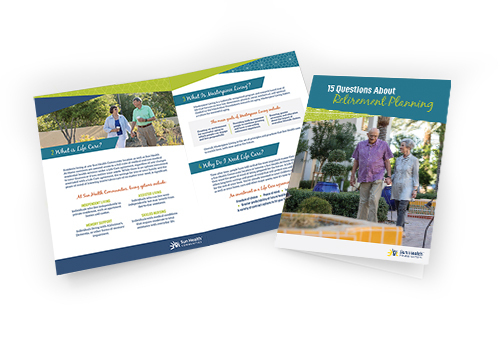 We're here to help ensure that your next big life decision is an easy one with our comprehensive guide, 15 Questions About Retirement Living. Download it below for access to commonly asked questions, including how to budget for retirement, and more.